Today in SCCA World Challenge GTS competition, the Ford Mustang Boss 302 contingency staged a protest against the series by parking their cars in pit lane after the initial formation lap. The reason for the protest was actually two-fold. The primary reason for the protest was driven by high engine temperatures caused by the very small restrictor the Boss 302 GTS Mustang is required to run to reduce the horsepower of the Mustang. This causes unusually high engine temperatures and all Mustangs were experiencing high engine coolant and oil temperatures. Two Mustangs failed to finish due to engine related issues. Some engine oil temperatures were in excess of 310°F which is quite a bit higher than normal. Engine coolant temperatures ranged from 240°F to 280°F. This is significantly higher than normal operating temperatures and puts the engine’s computer into protect mode. This demonstrates that the restrictor has a compounding effect on the Mustang’s ability to make horsepower and be competitive. The competitors collectively chose not to race their cars rather than risk further damage to the engines in their cars. The secondary purpose of the protest was to bring attention to the current rules package for the Boss Mustang. The series has a very difficult task in trying to create parity between vastly different vehicle makes that achieve lap times in vastly different ways. Some have a power advantage, some have a stopping advantage, some have handling advantages, etc. The Mustang owners and drivers collectively and unanimously feel that the SCCA’s method of creating parity is not working and leaves the Mustang with a significant handicap in many areas, and an advantage in NO area. The Boss Mustang teams held meetings with series officials throughout the Mid-Ohio event in an attempt to regain some level of competitiveness, but those discussions proved fruitless. The teams collectively felt that their voices were not being heard and staged a protest to bring more attention to this matter. The top finishing Mustang in Saturday’s race was 10th place. 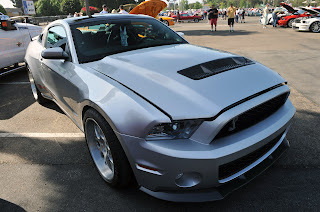 The fastest lap time of the fastest Mustang was some 1.4 seconds slower than the front running cars. All of the top six cars were greater than one-second clear of all Mustangs. The three fastest Mustangs were within 0.1 seconds of each other. 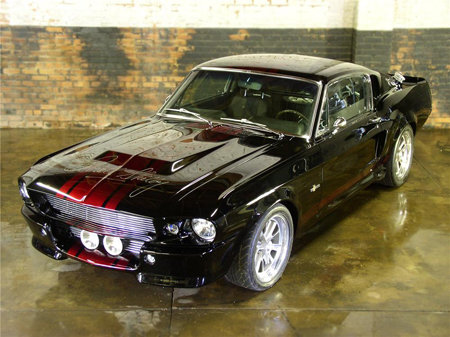 This demonstrates that there is a clear disparity between the Mustang and all other makes. The teams agree the use of inlet restrictors are the direct cause of the extensive engine overheating issues leading to eventual failures. In consideration of the high replacement costs of a new Boss 302 engine and the replacement of failed components due to the high heat stresses being applied to these engines, and the resultant safety issues stemming from exhaust fumes entering the car, it is agreed SCCA must stop its parity by restricting the Fords. The Mustang teams feel that SCCA Pro World-Challenge has lost sight of what has brought so many people to love World-Challenge Racing – the professional sport at a reasonable cost in GTS competition. The Ford Mustang Boss 302S should be the standard, not the exception. Ford Racing has engineered a very affordable and race-ready product anyone can buy out of the Ford Racing parts catalog and has continually developed its platform each year with feedback from its racers to have the best performance package for the dollar spent. The GTS Category should be a “Pony Car War” class with vehicles in competition which can be purchased at any dealership and raced for a reasonable cost. Rule mandates for competition should be done with proper consideration given to costs, calibrations and ease of implementation. The teams challenge SCCA Pro World Challenge to commit to the immediate implementation of new rules and standards. They are offering their collective support to work with Tech to find a suitable and affordable means to make a competitive racing event which is safe for all who participate. You can watch Justin Bell, driver of the #50 Tiger Racing Mustang Boss 302S, talk about the protest in the video below. 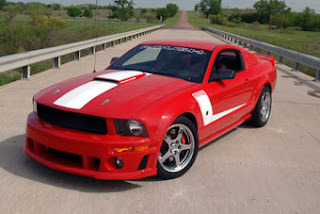 This entry was written by by MustangsDaily (Mustangs Daily) and posted here on Sunday, August 5th, 2012 at 4:02 pm and is filed under boss 302s, ford mustang boss 302s, Motorsports, mustang boss 302s, SCCA World Challenge, world challenge, world challenge gts. This article was not written by us, rather gathered using RSS feeds listed here. We take no credit for this article. You can leave a response, or trackback from your own site.